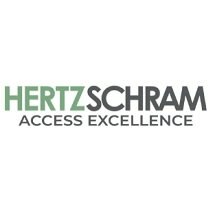 Hertz Schram, P.C. is a progressive law firm with offices located in Bloomfield Hills, Michigan. The firm has a decidedly fresh and entrepreneurial spirit, which both infused our founding in 1979 and drives our present growth. For over three decades, our exceptional lawyers have provided clients from individuals to multi-national corporations with an unsurpassed level of ingenuity, service and results that have made Hertz Schram, P.C. one of the most unique, accomplished and sought-after law firms in the Midwest. With thirty attorneys employed by or as counsel to the firm, and a full staff of nearly 100, Hertz Schram, P.C. is considered a mid-sized firm. In truth, however, we're much more. With capabilities and depth beyond our size, we provide the expertise and benefits of a large law firm with none of the limitations. When your business is on the line, we have what it takes both the human and state-of-the-art technological resources to prevail. At Hertz Schram, P.C., we are neither impressed nor intimidated by the size or reputation of adversaries or their law firms. When looking across the table at us, other law firms know they have their work cut out for them they know they won't out-think us, or out-work us. They know that we fiercely advocate on behalf of our clients. We command respect and we don't back down. In fact, many of our referrals today come from those we've opposed in the past. Our goal at Hertz Schram, P.C. is to meet and exceed our clients' expectations. We begin our work by carefully listening to our clients in order to understand their concerns and issues. Next, we help to identify and articulate goals, then map strategies to accomplish these goals. Finally, we combine our collective skills and resources in a tireless quest for success. Most importantly, we take pride in the confidence and trust our clients place in us. In exchange, our attorneys demonstrate a profound care and concern for their success. Why else would we have so many longstanding and revered client relationships We are accessible, committed, responsive and proud to offer all clients the unique opportunity to work with highly creative and result-oriented attorneys. Providing value for our clients is our highest priority. We do more than offer stellar legal advice we guide clients through the strategic nuances of their most critical business and legal decisions. In managing each phase of an engagement, our clients count on us to offer mature counsel in determining the most prudent and beneficial course of action even if our advice is not popular. We also recognize our clients' concerns about cost. As a result, at Hertz Schram, P.C., we're willing to offer creative, budget-sensitive fee arrangements and common sense practical solutions. In a competitive legal environment, we know that quality legal advice and personal service must be offered at an economical price.